Liverpool John Moores University has been awarded a grant by the Gas Safety Trust (GST) to complete Phase 3 of its study into levels of carbon monoxide in the home. The 12-month project forms part of the Carbon Monoxide National Monitoring Study, and builds on the work previously carried out by John Moores University and Merseyside Fire and Rescue Service. 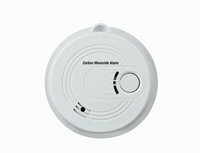 The aim is to create a standardised method of carbon monoxide data collection. The project will reach an estimated 75,000 homes in the North West. Data collected in previous phases of the study have found that carbon monoxide levels in the home are much higher than previously expected, and the number of carbon monoxide alarms found in the home is much lower than anticipated. Chris Bielby, GST Chairman, said the research will lead to better understanding of carbon monoxide in the home: “I am delighted that the Gas Safety Trust is funding this important project which will help us understand how we can better record incidence of carbon monoxide poisoning in the home, especially those at lower levels. “Thanks to the actions of the gas industry, who have been proactive in their response to carbon monoxide prevention, fatalities in the UK have significantly declined over the last 40 years.